Esther is one of our customers who’s been using the Saltair – Home Salt Therapy device for very long time! It’s been helping her for more than 6 years to breathe better and manage her respiratory symptoms. She finds Saltair very beneficent and it helps her with her asthma, bronchitis and breathing difficulties. “In the morning I am not congested, I am not coughing and it helps me enormously.” she said. The microscopic salt particles generated by Saltair penetrate into the respiratory system by natural breathing. Once they get inside, being so tiny, they travel to alveoli – smallest part in the lung where the oxygen exchange takes place – and help in clearing and reducing the inflammation. 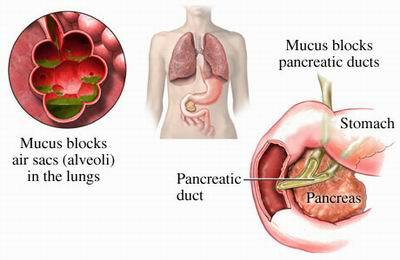 They kill bacteria, viruses or fungi and humidify the whole respiratory system, clearing the impurities and mucus. This is also very helpful in respiratory allergy or hay fever, where the allergens are cleared from the respiratory system and the inflammation reduced. Shortly there will be an improvement in breathing and in shortness of breath. The blood gets more oxygen as a result of better oxygen exchange in alveoli, and this will induce a deeper more relaxed sleep and better body functioning. Using salt therapy at home every day, at least during the night, will increase the respiratory immunity against respiratory infections and allergens. Saffron is a reddish-golden colored spice collected from styles and stigmas of the flower of saffron crocus (Crocus sativus). It is utilized mainly as a spice and seasoning agent in cooking or as a coloring agent due to its beautiful yellow-orange color. 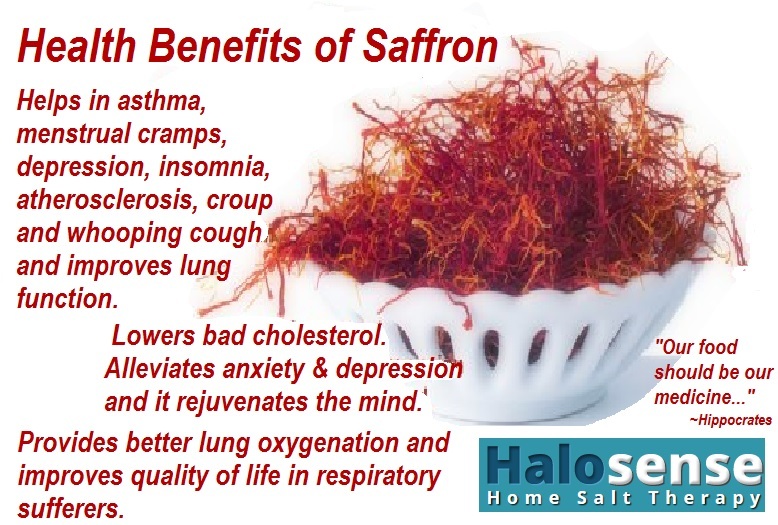 Saffron also offers several health benefits making it one of nature’s most effective and most expensive herbs. The saffron crocus is indigenous to the Mediterranean and Western Asia, and the main reason saffron has a significant cost is the fact its production is incredibly labor demanding. Saffron’s healing effects were acknowledged since historical times in these cultures, and was utilized to ease stomach aches, enhance blood circulation and ease difficult breathing or shortness of breath. Among the multiple health benefits of saffron are: eases breathing in asthma attacks, improves lung and blood oxygenation, relieves whooping cough, croup cough, shortness of breath. Helps to fluidize thick mucus in the respiratory system and lungs being recommended in cystic fibrosis or respiratory infections. It also helps in depressive disorders, atherosclerosis, in learning and memory retention, and lots of other health issues. Its natural carotenoids and antioxidants components, crocin, are considered liable for enhancing arthritis, enhancing eye and vision and numerous other saffron’s health advantages. Saffron has a distinct flavor that comes from the chemical compounds picrocrocin, and safranal. Saffron can be used in tea and cooking, especially used with rice. One amazing recipe, even though very elaborated but worth to try, is the Iranian Jeweled Rice that you can find here. There are many much easier to cook saffron recipes online that you can try and include in your diet. As Hippocrates says, "Our food should be our medicine and our medicine should be our food" – very true indeed!